French Montana and the Triplets Ghetto Kids performed. Others who performed included Tamar Braxton, Trey Songz, Mary J Blige, Lil Wayne, DJ Khaled, Chris Brown, Xscape and New Edition among others.. 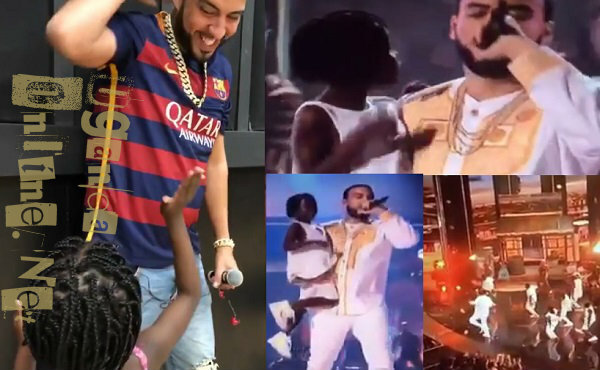 The 2017 BET awarding event was held yesterday at the Microsoft Theatre in Los Angeles and the highlight for most Ugandans was the moment French Montana stepped on stage alongside our very own Triplets Ghetto Kids performing their unforgettable song featuring Swae Lee. It has over 100,000,000 views on Vevo video. 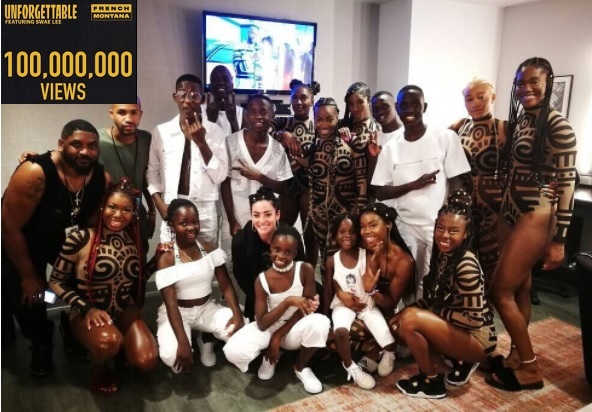 The Triplets Ghetto Kids and Montana were all clad in white doing their dancing patterns and their performance was among the night's best performances including DJ Khaled's I'm the One. 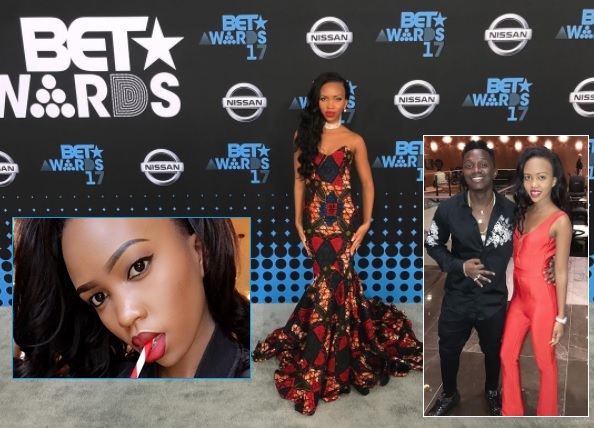 NTV Uganda's Sheila Gashumba was there to cover the 2017 BET Awards and also to co-host the official BET Experience African Party with Tekno. Inset is Sheila with Tanzania's Rayvanny who is this year's Viewer's Choice - Best New International Act Artist. This is the very award Eddy Kenzo won in 2015. Triplets Ghetto kids strike a pose with DJ Khaled and Chance the Rapper who was praised by Michelle Obama at the BET Awards 2017.